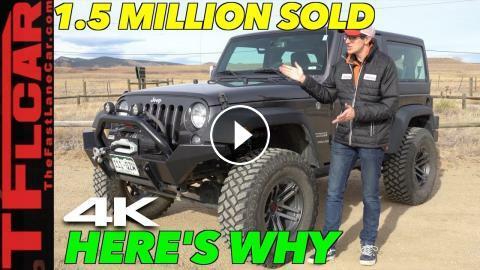 ﻿ Here's Why The Jeep JK is the Best Selling Wrangler Ever! Here's Why The Jeep JK is the Best Selling Wrangler Ever! ( http://www.TFLcar.com ) Here's Why The Jeep JK is the Best Selling Wrangler Ever! Old vs New: 2018 Jeep Wrangler JL vs Wrangler JK vs Moab's Hummer Hill! Gladiator vs Wrangler: Is The Jeep Gladiator More Than Just a Wrangler With a Truck Bed? Driving a Jeep Wrangler to Top of the World! Driving the Jeep Safari Concept: Is This The New Face of the Next Jeep Wrangler? Tall Rocks, Low Jeep: Scraping Off Road in a Stock Jeep Wrangler! When a New Wrangler JL Just Isn't Enough Jeep: Meet Jeep Nacho!